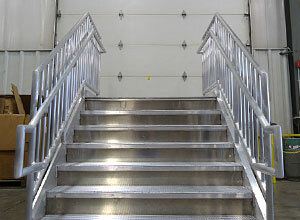 Karnel is a premier manufacturer of standard and custom access solutions fabricated from steel, stainless steel, and aluminum. Karnel can assist in the design, engineering, and selection of material for your platform, catwalk, crossover, stairs, or ladder system. Material selection is based on application, cost goals, and environment.